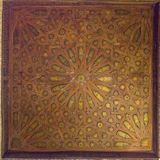 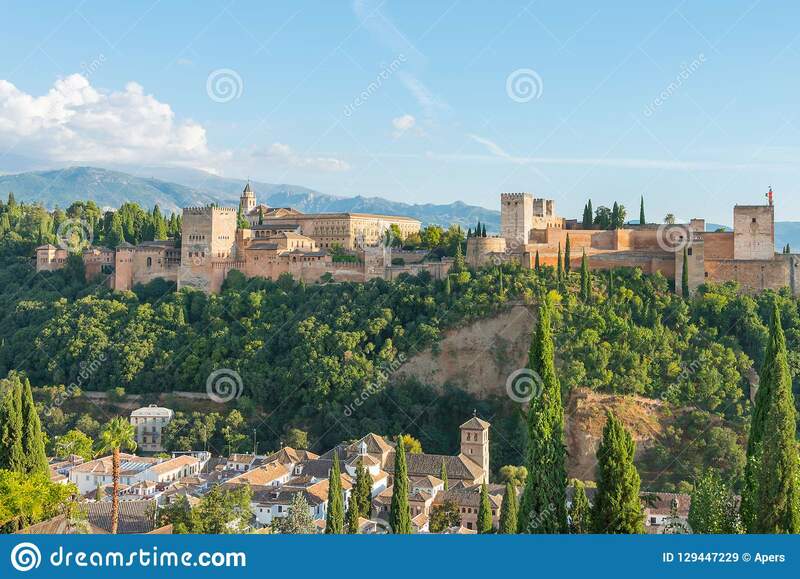 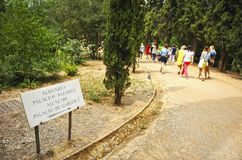 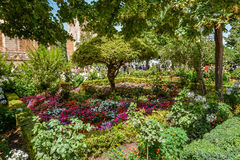 Nasrid Palaces and Alcazaba, Alhambra and Albaicin, Granada. 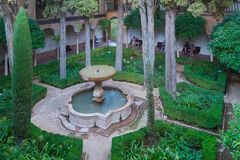 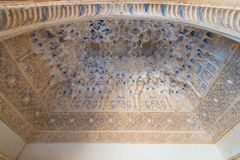 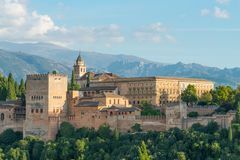 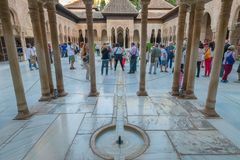 Panorama of the Alhambra Palace in Granada, Andalusia, Spain Alhambra Granada Spain palaces Nazaries, symmetrical reflection in the mirror of water GRANADA, SPAIN - MAY 2017: Inside Alhambra Nasrid Palaces, plaster inscriptions Beautiful Moorish fortress of the Alhambra in Granada, Andalusia View of the beautiful garden in Alhambra complex and a queue of people waiting for entering the Nasrid Palaces Alhambra of Granada-Spain Tourists in the gardens of Generalife. 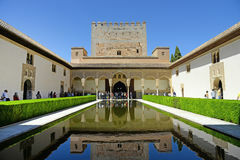 Alhambra, Alcazaba, Nasrid Palaces, Charles V Palace. 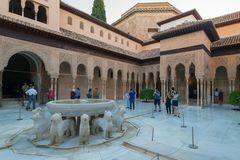 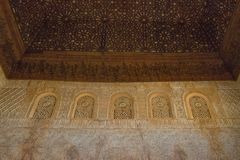 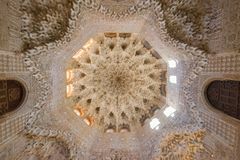 Granada, Andalusia, Spain The Room of Two Sisters of the Alhambra of Granada, Andalucia, Spain GRANADA, SPAIN - MAY 6, 2017: Alhambra, Granada, Spain. 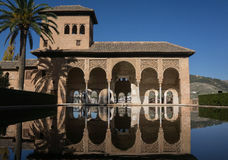 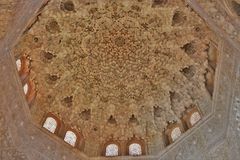 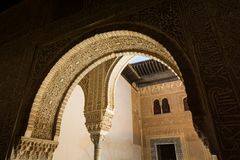 The Nasrid Palaces Palacios NazaraÃ‚Â­es in the Alhambra fortress.